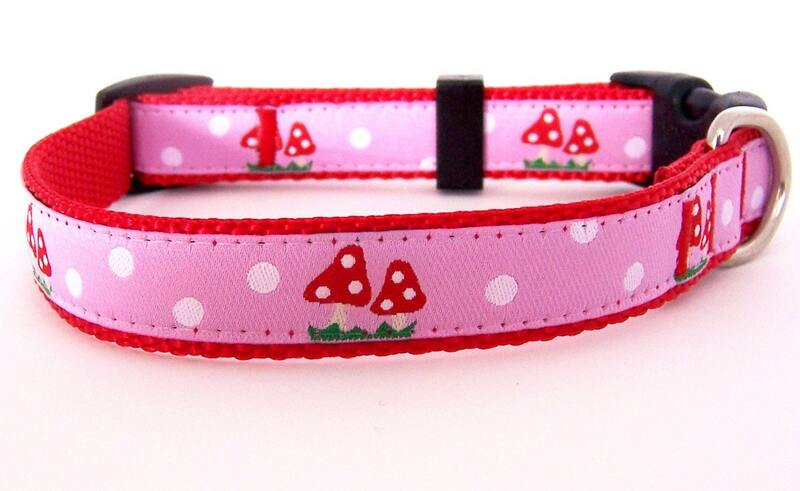 Pink Mushroom Dog Collar. Sweet little mushrooms on a pink background. 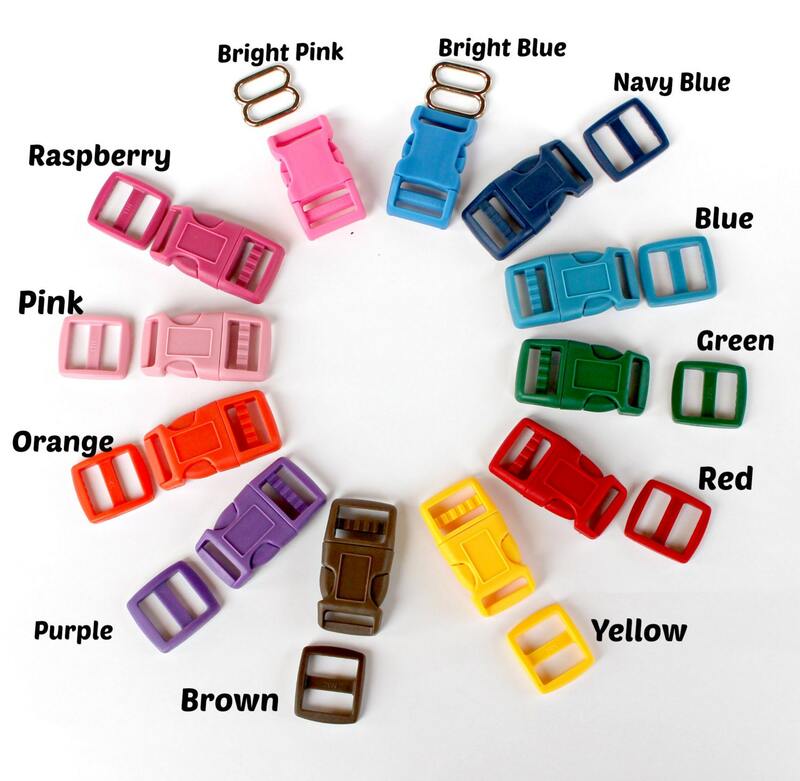 It is placed on red heavyweight webbing but if you would like to change the webbing color, please let me know in Notes to Seller. 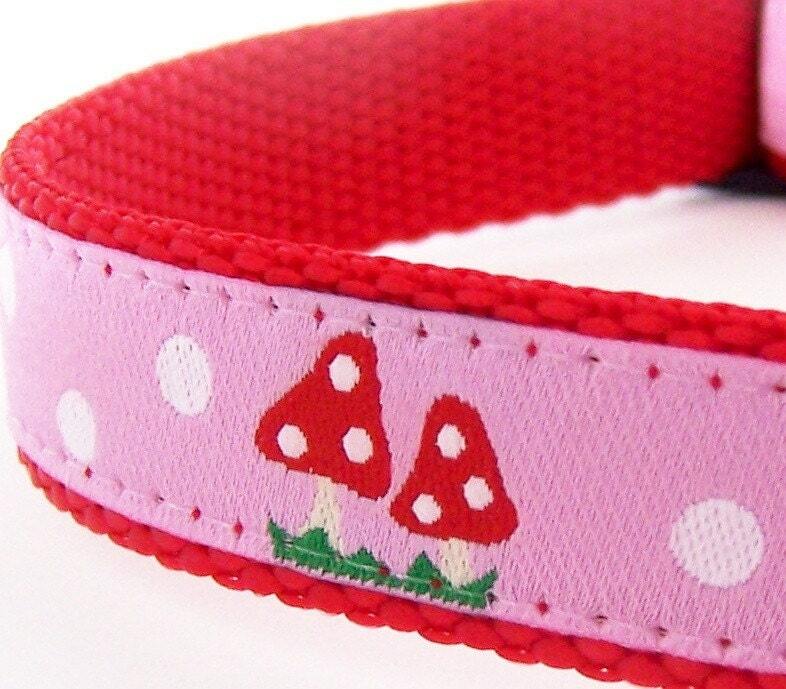 This is a smaller width ribbon so is only available in 5/8 inch widths. **Collar pictured is 5/8 inch width. **Production Time is 7 to 10 days. 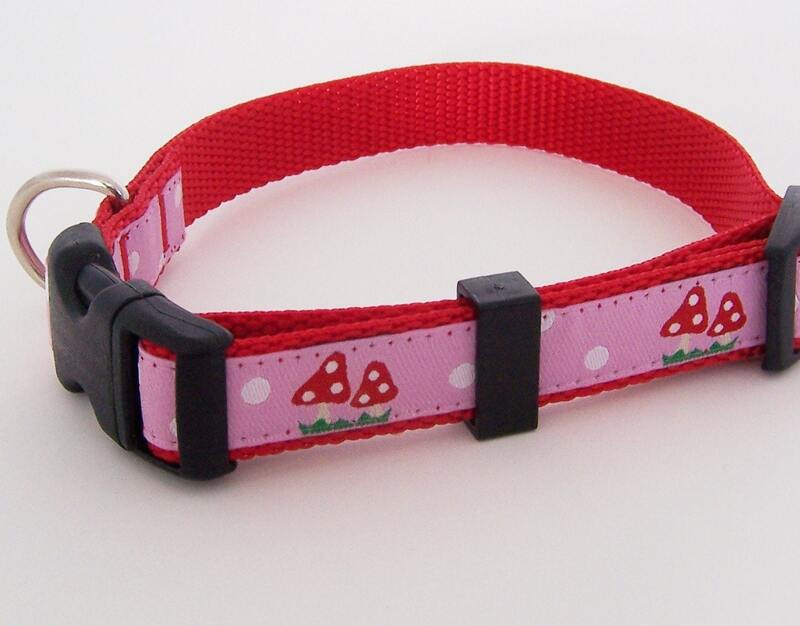 Probably the most adorable collar I've ever seen! My dog was just as excited to put it on as I was to see it on her. Exactly as described! And came relatively quickly! Thank you! Simply Beautiful! Thanks so much! SUPER cute and very well made! High quality, looks adorable on my dog, fits great!